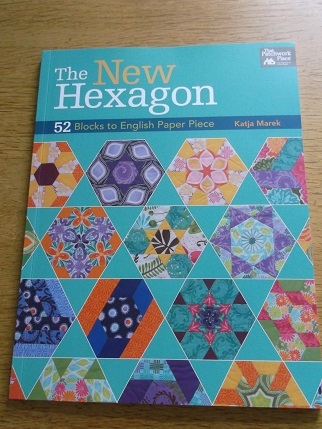 I ordered this title, The New Hexagon by Katja Marek, as I saw a review of it in one of my quilting magazines and am very excited. 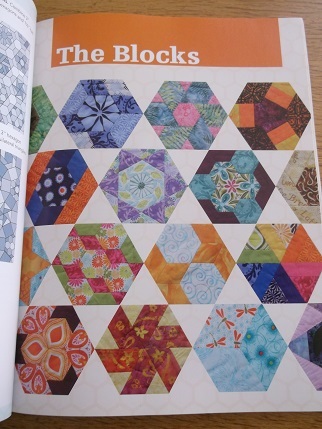 I love the fabric choices which make the front cover blocks look like one of those kaleidoscope toys I had as a kid. 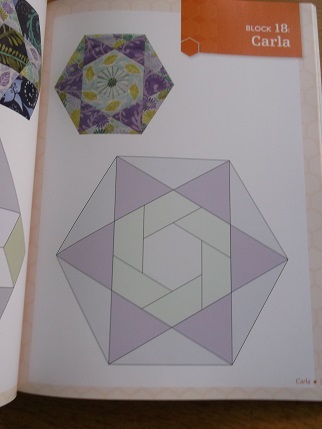 Regular readers will know that I have a bit of a hexagon addiction going on at the moment and have done lots of things with ordinary hexagons. I am now experimenting with diamonds making some little pin cushions and needlebook gifts and was looking for more things to do now that I am more confident with this English Paper Piecing lark! 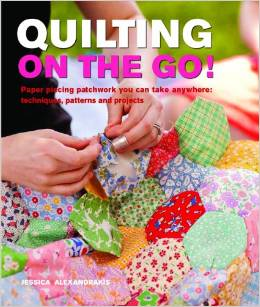 I bought this other book below, Quilting on the Go by Jessica Alexandrakis, for my Mum as a Mother’s Day present and it is a very good basic introduction to the craft with lots of useful templates and ideas for small and large projects. 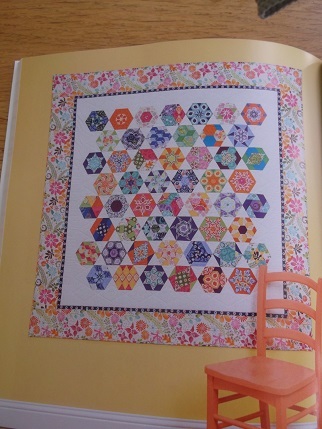 This is actually called the Hexalicious Wall Quilt hence the post title and I love the bright colours and the border fabric! 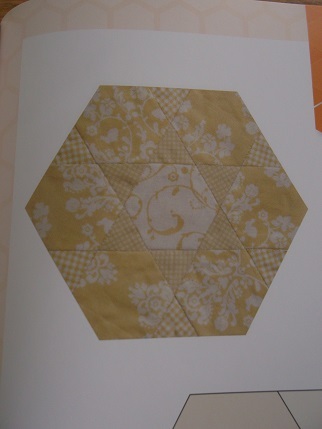 The patterns work equally well with more subtle fabric though as in this example. So happy! Am taking this to knitting group tonight to share with my friends, I am sure Helen the premier quilter amongst us will be very impressed. I remember those kaleidoscopes, and yes, those pictures are reminiscent – they even seem to glow!